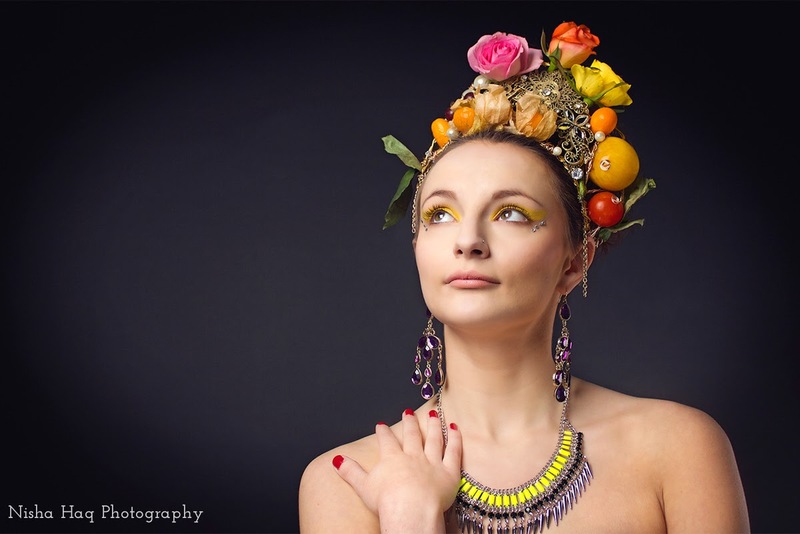 Really wanted to be creative on this shoot and try my hand at creating a head piece made from fresh fruits and flowers. I made the headpiece out of wire and using a necklace from New Look to make the crown over 4-5 hours as well as accessories from Primark. Dresses and neon necklace are from New Look, the necklace worn on Natalie's neck and monochrome earrings is from Topshop and strappy heels are from Zara. 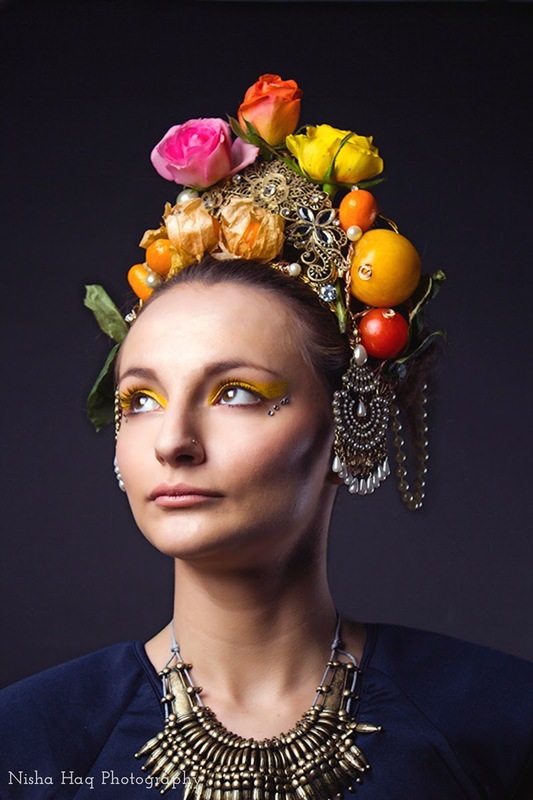 I really enjoyed this shoot and working with hair & make up artist to make this shoot come together and working in fashion team. Wanted to keep the clothes quite simple but modern to contrast with the opulent head piece. 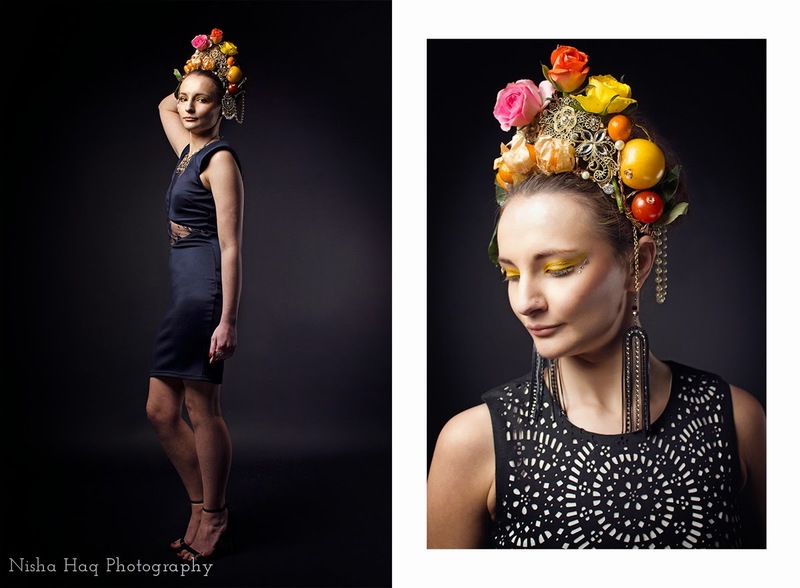 Inspired by still life painting of exotic fruits from 1500-1800s.